The Institute of International Studies marked its 30th anniversary in 2004. I was asked to send my greetings to Perspectives coordinators from around the country. Here is what I shared. Congratulations Dr. Winter and all Perspectives coordinators on the 30th anniversary of the Institute of International Studies. Olgy and I send you greetings as you celebrate this special milestone. Ralph, it’s hard to believe it has been 26 years since we first met in Ft. Collins, only to follow you back to Pasadena. There we discovered a small staff dreaming about filling up the campus with college students for an Institute of International Studies semester. That fall we attended IIS. But Olgy and I quickly realized that only 2 out of 100 students might ever come to study the Great Commission on the Pasadena campus. But if we could take the Institute to them, maybe 20 out of 100 would take the class. After being in Pasadena for three months, come October 1978, Olgy and I headed back east to raise financial support. While in Pennsylvania, we visited a former colleague of mine, Phil Hardin, who was on staff with Campus Crusade for Christ at Penn State. We shared with Phil how reaching hidden people was key to fulfilling the Great Commission, and how students needed to be awakened to this challenge. He was open to this vision and invited us to bring a SCOWE, a Student Conference on World Evangelization, to his beach project the following summer of 1979. That following July we dragged Bob Coleman, Dave Cashin and Dr. Winter up to Lake Tahoe to do the conference with us. That band of Campus Crusade for Christ students attending the SCOWE in Lake Tahoe was blown away by what they learned. Phil then invited me to come back that coming winter to do a SCOWE for Penn State students. At that time, Penn State had the largest concentration of Christian students active in campus ministries out of all the universities in the U.S. I remember telling Phil, “We will come, but only if you let us run an IIS Extension course following the conference. Our decision cards at the conference will be our course registration form.” Phil agreed. During that fall leading up to the conference, I spent time at Penn State, sharing the story of the Student Volunteer Movement, how it began with 100 students banding together to fulfill the Great Commission. It too had started at a conference. I began to ask others, Could God be raising up a Penn State 100? The SCOWE conference at Penn State drew some 450 students. Greg Livingstone, Ralph Winter and I shared the platform. By the end of the first evening, two students had registered for the course. I remember telling Fran Patt, the conference coordinator, “those two are Caleb and Joshua.” By the end of the conference, 65 students had signed up. Sensing that God was still at work, I delayed my trip back to Los Angeles. I set up camp and by week’s end we reached our prayer goal of 100 students registered for that Spring term, starting in less than 4 weeks. I returned to Pasadena, took a leave from my job as director of Personnel at the Center, and Olgy and I drove back to Penn State–to lead the first “Perspectives” extension class. Those 15 weeks during the spring of 1980 was a whirlwind, as each week welcomed in a new guest speaker to minister to 75 students. We met twice a week, once for small groups, the other for lectures. If it is any comfort to you coordinators gathered on this 30th anniversary, I was nearly overwhelmed by the enormity of pulling together that first class. Olgy worked with me to plan each week, and a student intern, named Bob Sjogren ran errands for us three afternoons a week. By the end of that program, God had raised up the Caleb Project with four students deciding to go to Libya. Their courage not only started an enduring student mobilization ministry, but launched Frontiers, which became the leading mission agency to the Muslim world. We returned to Pasadena by May of 1980, convinced that this model could be multiplied. A verse from 1 Thessalonians 5:24 spoke strongly to me during that season, “Faithful is he who calls you and He will also bring it to pass.” I remember asking, “Lord where should we start? Should we put our energies in sponsoring SCOWE Conferences? Should we contact Christian faculty members across the country to be lead professors of IIS in their area? Or should we produce curriculum resources, such as videos?” I gathered the IIS staff and we began to pray our way through how to build this national movement. Darrell and Linda Dorr kept the summer programs going. Steve Hawthorne came on board to develop the curriculum, including the textbook and study guide. We produced many things over the next three years, but the cornerstone was the “Perspectives Coordinator Training.” David Bryant had once told me that the key to building IIS would be mobilizing its alumni. So Olgy and I went back to school, at Cal-State LA., to earn our M.A.s in Curriculum Development. During the day we ran the Institute, but at nights we focused on its future. 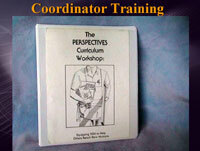 Come the winter of 1983, I hosted the first “Perspectives Curriculum Workshop” for 11 people. The following summer, I spent another 7-days training new coordinators. I continued this bi-annual pattern for three years, training the first 200 Perspectives coordinators, until the training could be regionalized and coordinators raised up through area teams. 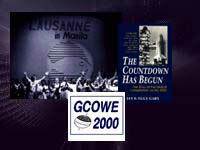 God led us to work with the Lausanne Committee for World Evangelization, launching the emerging leaders program in the U.S. and then later working for their International Director, helping to create the AD 2000 movement. Today, my work still continues in the Perspectives vein. Over the next three years I am helping Regent University launch an M.A. program in the area of strategic foresight and strengthen their Doctor of Strategic Leadership. Wherever Olgy and I have gone, we have always gone as Perspectives coordinators. We have never forgotten our early mentors and colleagues in IIS, whether Charlie Mellis, David Bryant, Bruce Graham, John Koehler or Steve Holloway. And God has had His hand on Perspectives these past 30 years. Dr. Winter, you used to tell us, “God can’t lead you on the basis of facts you don’t know.” As sojourners, like Abraham and Moses, “Perspectives” became our cloud by day and fire by night to become a learning community and follow the Living God. And we’re not done learning yet. There are new generations who await an invitation to enter a new land. And there is a height and depth to strategic thinking, to God’s wisdom in our day, far beyond what we can think or imagine. May God guide you as Perspectives leaders in both your learning and leading the next 30 years!